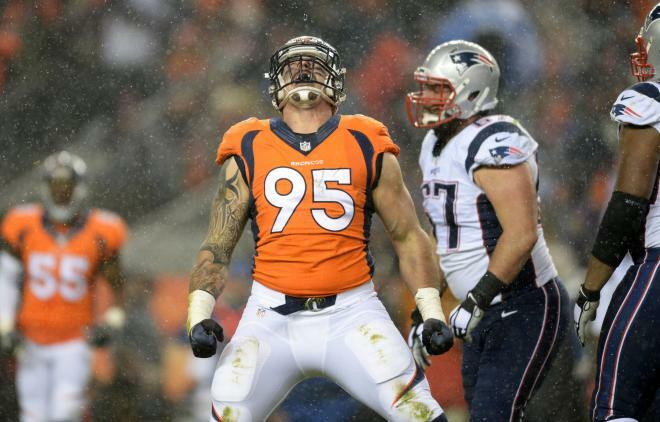 Derek Wolfe (born February 24, 1990) is an American football defensive end for the Denver Broncos of the National Football League (NFL). He played college football at the University of Cincinnati. He was selected 36th overall by the Broncos in the 2012 NFL Draft.